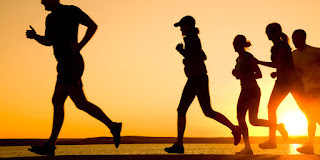 The Lagos State Government has restated Its commitment towards maternal, peri-natal and child (under-five year) health, saying it is one of the most important issues that determined national well-being. Making the declaration recently, at the flag-off of this year’s Maternal, Newborn and Child Health, (MNCH) Week across the state, the government said that it plans to reach 640,000 pregnant women under the programme. MNCH Week offers a veritable platform to simultaneously contribute to the reduction of child morbidity and mortality and improving maternal health indices. The week held between 3 and 7 July, 2017. At a news conference weekend, at the Lagos State Government Secretariat, Alausa, in Ikeja, Lagos, Southwest Nigeria, Special Adviser to the Governor on Primary Health Care, Dr. Olufemi Onanuga said it was a known fact that maternal, peri-natal and child (under-five year) health was one of the most important issues that determined national well-being. “It is a rather sad fact that most of the maternal and child deaths and morbidity are avoidable if preventive measures are taken, and adequate care is available. “It is for this reason that I fully lend my voice and support to the Integrated Maternal, Newborn and Child Health Strategy adopted in Nigeria as a panacea to frontally tackle the twin issue of maternal and child morbidity and mortality,” he explained. Onanuga said during the July round of implementation, a wide range of high-impact, low-cost, protective, preventive and promoting services would be provided to the whole family. 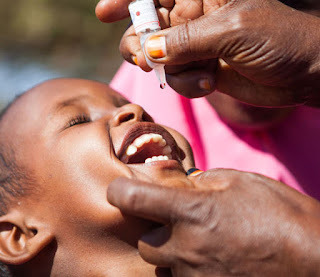 “These will include routine immunization; Vitamin A supplementation; growth monitoring and promotion, screening for malnutrition and appropriate counselling/management/referral; distribution of de-worming medicine, and distribution of Information Education and Communication (IEC) materials aimed at improving the health seeking behaviour. In addition, tetanus toxoid will be given to women of child-bearing-age, who are also counselled on key household practices like exclusive breastfeeding, complementary feeding and basic hygiene. Antenatal care and family planning services will be provided.” he said. Onanuga further appealed to all community leaders to take full responsibility of ensuring that all the targeted groups were reached and effectively mobilized to the PHCs during this year's Maternal, Newborn and Child Health celebration. Experts have reiterated the importance of early diagnosis, saying it can prevent many difficulties and ease treatment, thereby increasing the chance of patient’s survival. To this effect, Lagos State, while marking the World Sickle Cell Disease Awareness Day penultimate week, announced that testing for sickle cell disease will soon become a compulsory part of the newborn screening programme. Sickle cell disease and sickle cell trait can be diagnosed with a simple blood test and can also be diagnosed before the baby is born. Speaking recently in an interview, Dr. Jide Idris, Commissioner for Health in the state, said that the purpose is to diagnose affected babies early in life and thus introduce timely and lifesaving interventions that would manage avoidable suffering and possibly prevent death. The test will utilise blood from the blood samples used for other routine newborn screening tests, Dr. Idris said. It can show whether a newborn infant has sickle cell disease or sickle cell trait, the Commissioner added. The prenatal (before birth) screening is done using a sample of amniotic fluid or tissue taken from the placenta. The placenta is the organ that attaches the umbilical cord to the mother’s womb. This test can be done in the first few weeks of pregnancy for people who are at high risk due to their genotype. The incidence of sickle cell disease can be reduced if intending parents have adequate information about genotype compatibility. According to a survey conducted in Abuja recently, 42 per cent of the respondents do not know what genotype is. This information and genotype testing should be made accessible through religious and youth organisations, the survey recommended. There are four genotypes in humans - AA, AS, SS, AC (AC being a variant of AS gene). Intending couples should know both their own genotype as well as their partner’s genotype at the early stage of their relationship before they are well rooted in love and emotions. These can easily be checked through a blood test. With this year’s Nigeria Prize for Science Competition recording the highest number of entries from 27 scientists worldwide, experts believe that fight to end the malaria scourge in Africa has received a boost. At the moment, the scientists are working on innovations in Malaria Control to win the coveted $100,000 with their new findings. The General Manager External Relations of Nigeria LNG, Dr. Kudo Eresia-Eke, said this recently, in Lagos at the formal hand-over of entries to the Advisory Board of the Nigeria Prize for Science. Dr. Eresia-Eke expressed optimism that this year’s prize competition will throw up a notable innovation in combating the malaria scourge in Africa, particularly in Nigeria. In his remarks at the ceremony, Dr. Eresia-Eke said “The journey every year of The Nigeria Prize for Science is punctuated by milestones. One of those milestones is actually the announcement of the closure and number of entries for the year. Dr. Eresia-Eke further said that the Nigeria Prize is open to all irrespective of nationality. What is common to all prospective winners is the focus on Nigeria, especially the focus on thematic Nigerian problem, one that weighs down on us so much that a solution if found would greatly impact the country positively, he added. 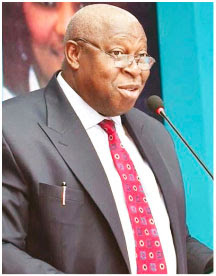 “It is the vision of Nigeria LNG (NLNG) to help build a better Nigeria, using avenues at its disposal, including the promotion of excellence and in this case, the promotion of science,” he said. Professor Alfred Akpoveta Susu, the Board Chairman, received the entries on behalf of the Advisory Board for The Nigeria Prize for Science. He remarked that the criteria for the evaluation of these entries normally will be determined by the Advisory Board and the panel of judges. Professor Susu is a past winner of The Nigeria Prize for Science. Other members of the Advisory Board are Professor Michael Adikwu, Vice-Chancellor, University of Abuja and also a past winner of the science prize and Professor Elijah Mshelia, a nuclear physicist. 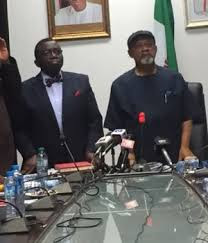 The rest are Professor Barth Nnaji, renowned scientist and former Minister of Power and Chief Dr. Nike Akande, two-time minister and President, Lagos Chamber of Commerce and Industry, the country’s premier chamber of commerce. Commending NLNG, Dr.Akande stated that the theme on malaria control was a good cause which she urged Nigerians from all walks of life to adopt. She added that the Lagos Chamber of Commerce and Industry will promote the cause and strengthen the link between research and development and industries. Prof. Catherine Falade, the Chairman of the panel of judges and a professor of pharmacology at the University of Ibadan, assured that excellence remained the fulcrum of judging the entries. She added that the process will be thorough. Other members of the panel include Professor Sunday Ene-Ojo Atawodi, Professor of Biochemistry at Ahmadu Bello University and Prof. Obioma Nwaorgu, a public health parasitologist and epidemiologist from Nnamdi Azikiwe University, Akwa. The first winner for the prize in 2004 was Professor Akpoveta Susu and his then doctoral student, Kingsley Abhulimen. In 2005, there was no winner. Professor Michael Adikwu won the prize in 2006. In 2007, as it was in 2005, there was no winner, however, in 2008, Dr. Ebenezer Meshida emerged winner. 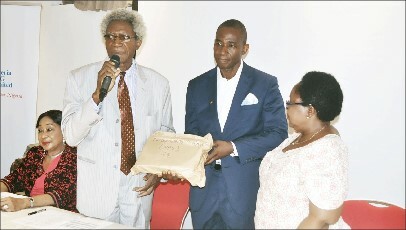 Professor Andrew Nok and Professor Akii Ibhadode won the prize in 2009 and 2010 respectively. There has been no winner since 2010. 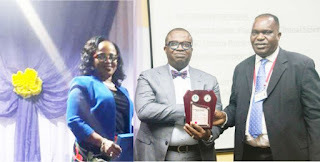 Tunji Ilelaboye, Sole Administrator, Agboyin-Ketu Local Council Development Area of Lagos, has called for more commitment of stakeholders to family planning to achieve its goals. Ilelaboye made the call in Lagos at a Town Hall Meeting on Family Planning organised in Somolu LGA of Lagos by a Non-Governmental Organisation (NGO) – Nigerian Urban Reproductive Health Initiative 2 (NURHI 2). “The purpose of this gathering is to enlighten the populace, both male and female of childbearing age, on the benefits of family planning. “We have been paying lip service to issues on family planning, but now is the time to address them; this is what NURHI 2 is spearheading in Lagos State and the entire Nigeria. “What they have done so far is going around all the local government areas through the Primary Health Centres (PHCs) to improve their family planning units. 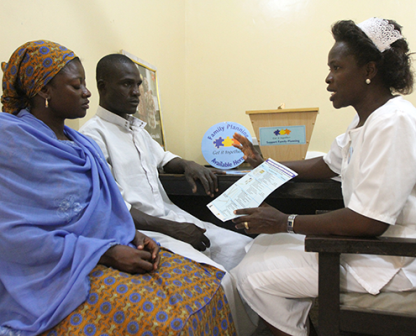 “It is expected that people should access informed family planning services with ease from providers who are knowledgeable,’’ he said. Ilelaboye urged the three tiers of government to pay more attention to funding and equipping of PHCs. According to him, PHCs are nearer to the downtrodden for access to healthcare services. 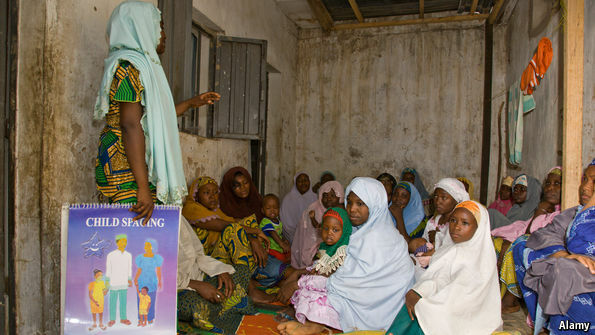 Dr Ajoke Ashiru, Chairperson, Inter-faith Coalition Group, NURHI 2, said that the NGO was targeting women of childbearing age – from age 15 to age 49 – in its advocacy for family planning. She urged more involvement of traditional, community, religious and market leaders in the advocacy. “These play important roles in decision making, and we believe in them,’’ Ashiru, also President , Federation of Muslim Women Association of Nigeria (FOMWAN), said. She urged religious leaders to talk about family planning during sermons. 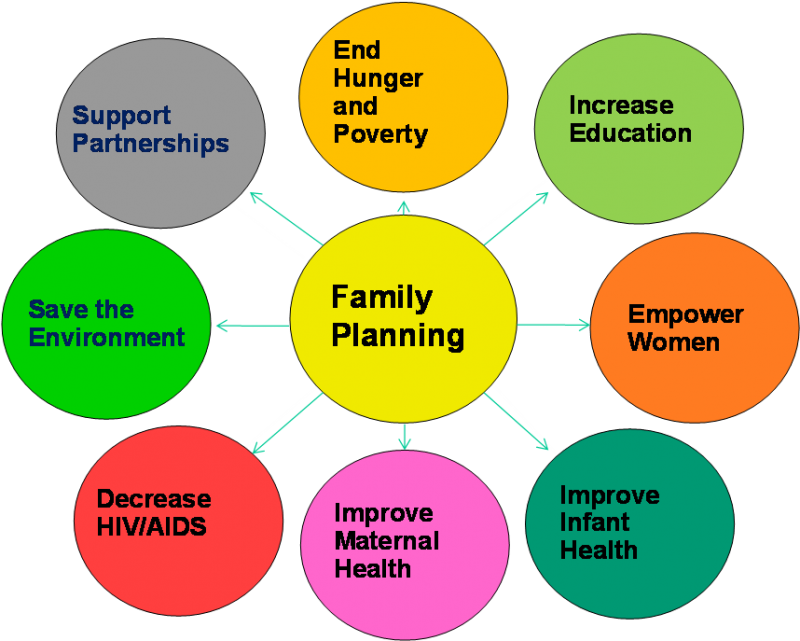 According to her, some of the benefits of family planning include child spacing, which enables a woman to recover fully from a previous pregnancy and delivery before having another child. 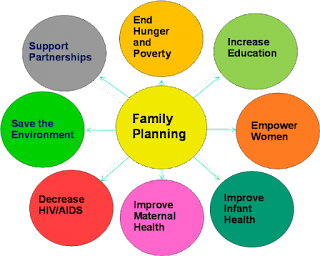 She added that family planning promote's family bonding and helped families to grow financially, thereby paving way for a healthy family and nation. Mrs Olanike Soremikun, a Family Planning and Reproductive Health Manager in Somolu, noted that more people were seeking and accessing family planning services in the local government area. “In most of the PHCs, an average of 16 acceptors used to come to access one method or the other, but now, the rise has been as much as 40 and 50. “There is more awareness; this is why we started this programme for different stakeholders to educate communities. “Most of these stakeholders may not be users, but they have daughters, daughters-in-law, neighbours and people in their communities that really need this services and information,’’ Soremikun said. She urged participants at the meeting to educate more women and men on the need for family planning. 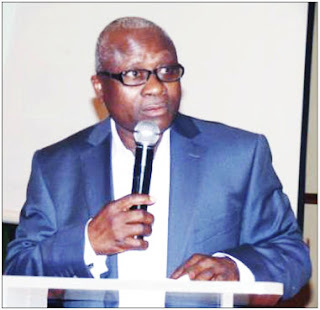 Dr. Sunday Aboje, National Coordinator, National AIDS/STI Control Programme(NASCAP), Federal Ministry of Health, has urged the Federal Government to take ownership of elimination of Mother to Child transmission (eMTCT) of HIV programmes to end disease infection in the country. Dr. Aboje said this at the opening of a three-day communication strategic review workshop by Journalists Alliance for Prevention of Mother to Child transmission of HIV (JAPiN) in Calabar, Cross Rivers State, recently. While stressing on the need for Federal Government to take charge of the programme, the National Coordinator, NASCAP, decried the country’s dependence on foreign donors to eliminate mother to child transmission of HIV. Aboje stated that currently, 380,000 children are HIV positive in the country, adding that Nigeria is committed to the goal of eliminating new HIV infections among children and keeping their mothers alive by 2020. He also said that the 90-90-90 target has received a boost in Nigeria with the new guidelines of test and treat. The National Coordinator was optimistic that there is a renew hope of viral suppression that would provide the potency to stop further transmission as a prevention tool while prolonging the lives of the infected persons. Aboje, however, stated that Nigeria’s target on eliminating new HIV cases in children among other things for 2018 was to ensure 50 percent of HIV-exposed children have access to HIV prophylaxis treatment and early infant diagnosis services. He also declared that funding, inadequate political commitment, and funding at state and LGA levels, weak health infrastructure as well as inadequate engagement of the private health sector as some challenges against eliminating new HIV cases in children. Prompt release of 100 percent budget for AIDS control, prevention, and treatment for the relevant Ministries, Departments and Agencies (MDAs) would make a difference in the lives of people living with the disease, Dr. Aboje said.